As many things as there are cool about the East Village, one thing that is not cool is East Village Warming! 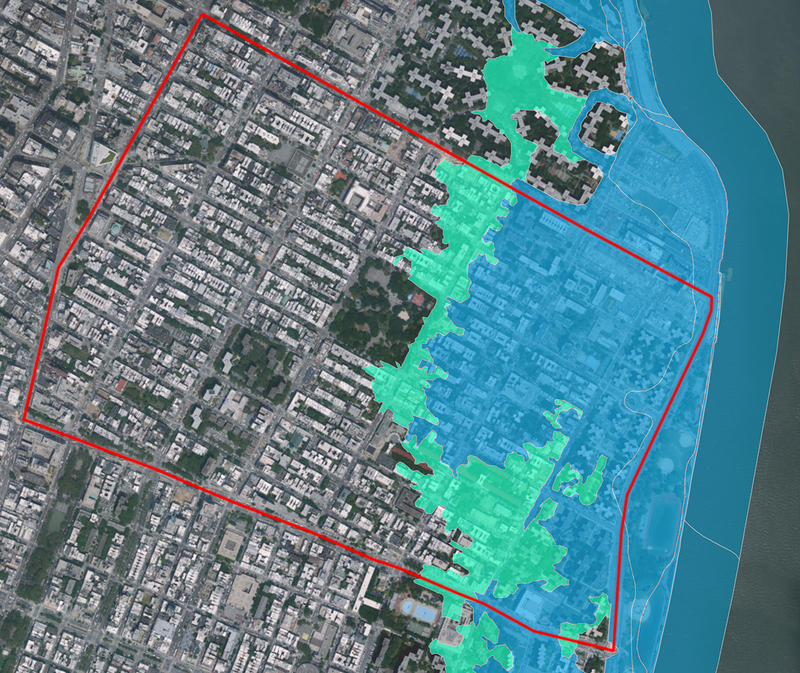 Recently, the New York City Department of City Planning released their Community District Profile, which shows how the East Village will be affected by global warming — it's not a pretty site! Pretty colors, but not a pretty site. The blue shows where the water goes when it floods now, such as during a hurricane. The aquamarine shows where the water is predicted to go by 2050. At least the new entrance to the FDR at Houston Street is safe! i just happen to be reading the manhattan chapter of 'the world without us'. I saw the TV show "Life After People" — that was a while ago!